From its humble beginnings as a free beachside cabana bar in Ibiza’s Playa D’en Bossa, Ushuaïa has grown to become one of the most dominant clubs in the world. Founded in-part by Yann Pissenem, who was disheartened to find Ibiza was mostly dark indoor club nights when he first visited the island, the idea of Ushuaïa was sparked by a desire to create something fresh that both young and old could enjoy. Keeping balance in mind, Pissenem mixed luxurious VIP clubbing with a festival-like atmosphere and sunny daytime raving for an experience that’s unmatched almost anywhere else. The club’s Adamson soundsystem — featuring twelve E15 cabinets on either side of the stage — provides crystal clear punchy sound no matter where you stand. Which is ideal when some of the best seats in the house are at the very back. But Ushuaïa has never been shy about treating its VIPs like VVIPs, and Pissenem understood that while the punters on the floor make the party a party, the older, more monied fans want something upscale and relaxed away from the masses — a place to hang out next to the pool, drink top-shelf bubbly and listen to the sounds of EDM, hip-hop, techno or tropical house waft around them until well after sunset. Pissenem also brought his eye for balance to the club’s bookings, realizing early on that only catering to one type of sound would never work. That ethos remains, and 2018 saw both club nights and one-offs bring a wide variety of music. Carrying the flag for the underground at Ushuaïa was the club’s homegrown night, ANTS. 2018 was another massive year for the Saturday party, with guests and residents like Maya Jane Coles, DJ Sneak, Adam Beyer, Apollonia and Lauren Lane playing underneath a gargantuan pyrotechnic ant on the club’s hulking stage each week. David Guetta also went large last year, bringing his BIG party back to huge crowds every Monday, with guests like Afrojack, Alesso, Robin Schulz, and Oliver Heldens. 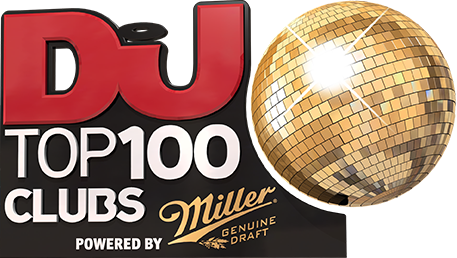 Meanwhile, DJ Mag Top 100 winner Martin Garrix made sure Thursdays were a blowout with the likes of A-Trak, Julian Jordan, Loopers, Lost Frequencies, and Tchami at his party. But where Ushuaïa really stood apart last year was Disturbing Ibiza with Tinie Tempah, a Wednesday bash that brought hip-hop, R&B, grime, old school garage and Afrobeat, with guests like Stefflon Don, Wiz Khalifa, Giggs, Lethal Bizzle, Yxng Bane, Bugzy Malone, Tyga and Mistajam to Ibiza’s premiere daytime poolside venue — a truly original move that went over like gangbusters. Completing the week, the ever popular Kygo also returned, bringing his tropical vibes to the sun-kissed Ushuaïa dance floor each Sunday. There was even a charity one-off, which raised money for Music Against Cruelty to Animals — a worthy case indeed. While other clubs might try to copy the Ushuaïa formula, last year proved once again why it remained in a category all its own — a status it doesn’t seem eager to relinquish anytime soon.